And with potential to grow!! 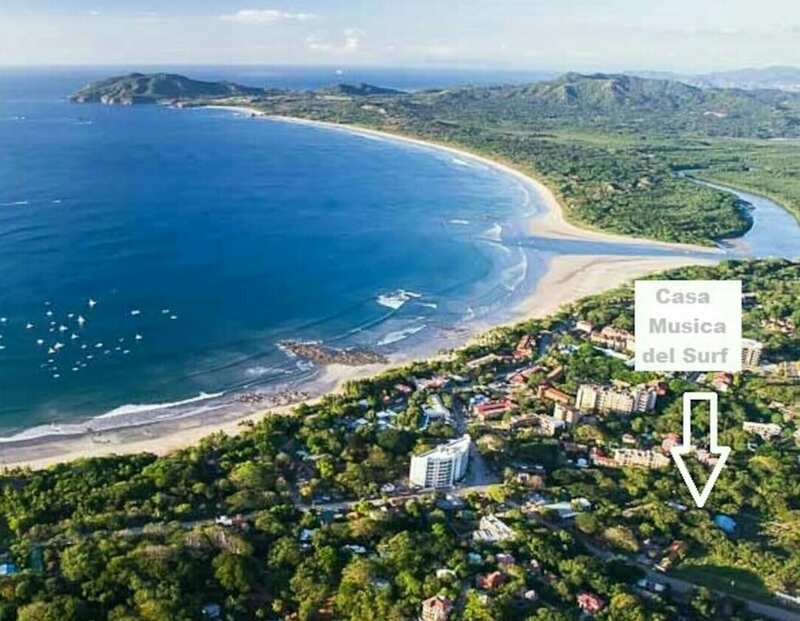 Casa Musica del Surf is a “turn-key” opportunity, for somebody who likes to live in Costa Rica full time or part time and make money on the property while living and running this small business. 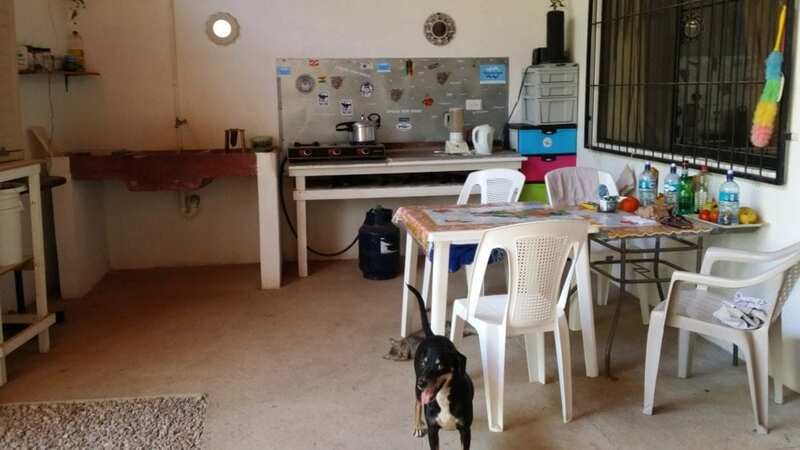 The property is a 161 m2 lot (1700ft2), with 3 rentable studios (each one with its own bathroom) and a common outside area and a common kitchen.It is built very secure and can also be left without people for a certain period of time. 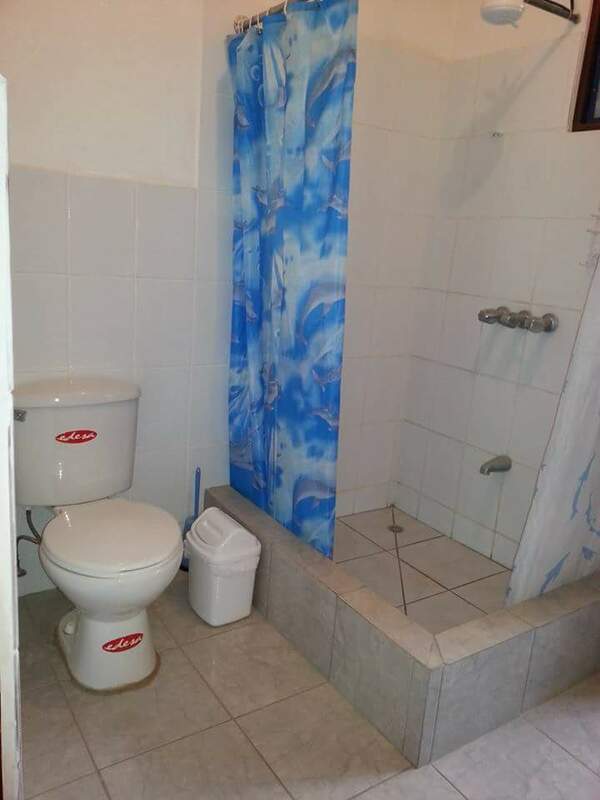 The location of the property is its big value. 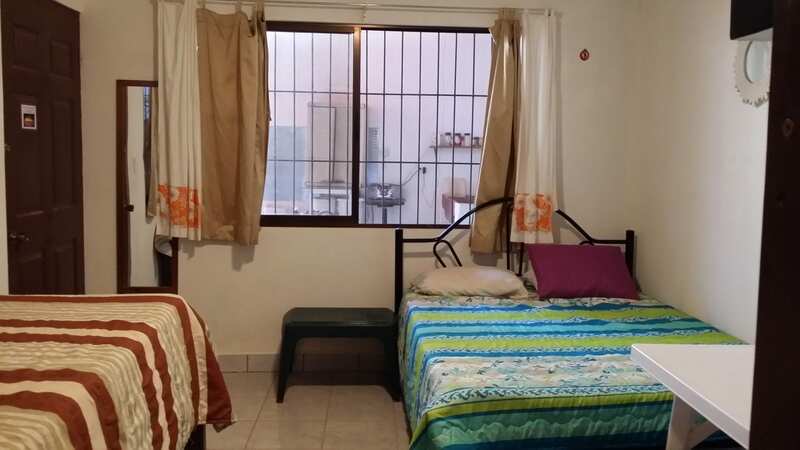 It is only 2 walking minutes away from the Tamarindo downtown city center, but still in a quiet and very safe neighborhood. 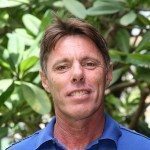 Also, through a short cut, the beach with its surf breaks can be reached within 4 walking minutes. The 3 studios are built out of solid concrete block, and the structure allows the future owner, to lift the roof and build a second floor. The property itself is small, but with the opportunity to build higher up, it gives a lot of future potential. Cars can be parked outside on the main road and in the public Alameda area outside the property. The neighborhood is private houses and hotels, which makes this place being perfect to be a home and/or also a rental place. The building structure has a natural air flow through the property, which makes it fresh and airy also in the hottest months of the years. 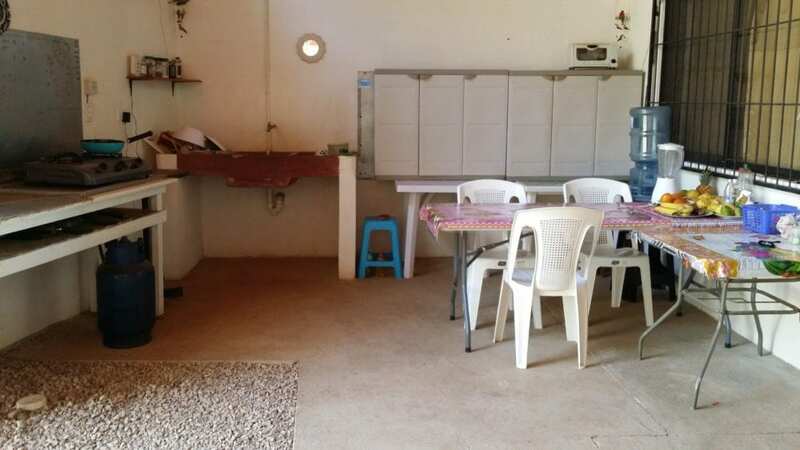 The property is surrounded by beautiful trees, which makes it very pleasant in the dry season. One side of the property is a public “Alameda” / green zone with trees, and nobody is allowed to build on this green zone. Casa Musica del Surf in its present form is managed as a rental place since 2016. The monthly income of the studios is around U$ 500.— per studio/per month. This of course varies in the low season and high season, but through the year the property can produce around U$ 1500.—per month in average, if all 3 studios are rented out. The place will be sold furnished, so the future owner can immediately start to rent out. 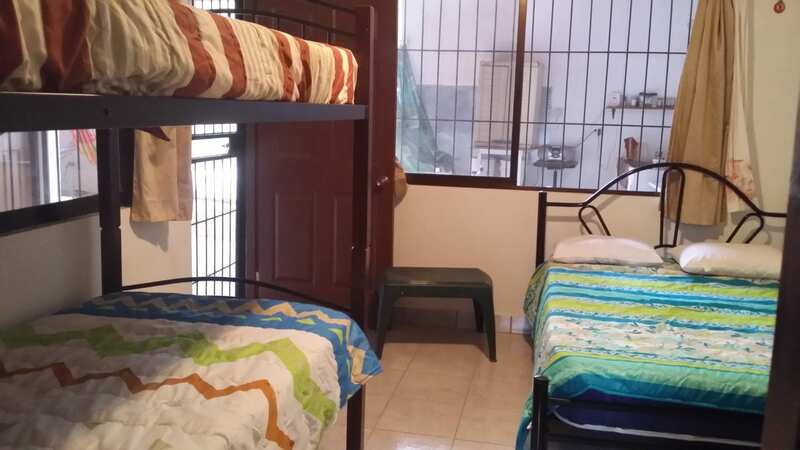 2 of the 3 studios are equipped with A/C and ceiling fans, 1 studio only has a ceiling fan. 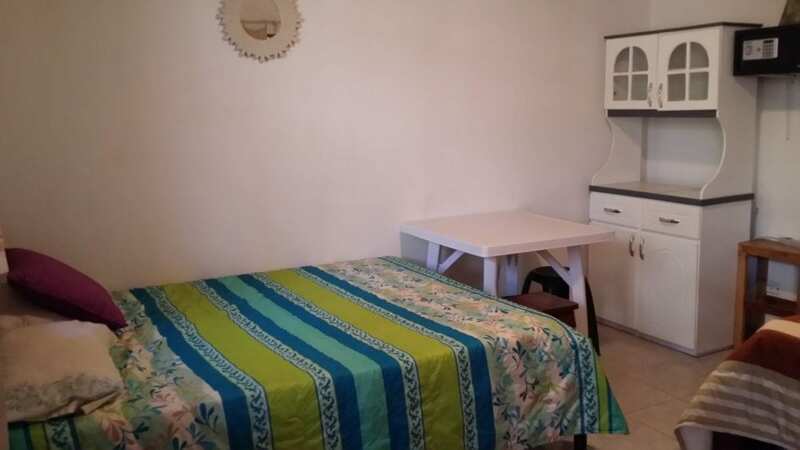 All 3 studios have warm water and the common kitchen is completely equipped. Contact us now and take advantage of this unique opportunity!